Posted by judylobo in Baby Animals, Mammals, Nature, photography, Wildlife, Zoo. Who doesn’t love baby animals? 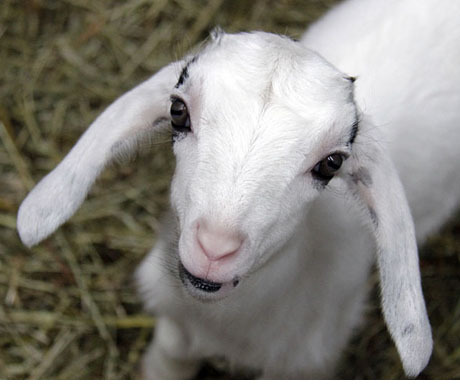 Quadruple that idea and come see four adorable mini-nubian baby goat kids at the Central Park Tisch Children’s Zoo. They grow up really fast so plan your visit soon. Oh they look so happy frolicking like that. Love the action shots. Aren’t they having fun; just adorable! Wow, these are great! So much better than the ones from the zoo that i saw run in my paper! Wish the one of the guy peeking out from the barn was in my paper, i’d have been so much more likely to come see them, they just looked kind of boring in the photos i saw. Guess I’ll be stopping in soon! Thank your for brightening my day! Love the guy peeking out! Adorable! They sure look like they are having a good time!